After a 4 hour plane ride and 1 hour land transfer from KLIA to the city center, we were 2 hungry kids craving for anything with rice. 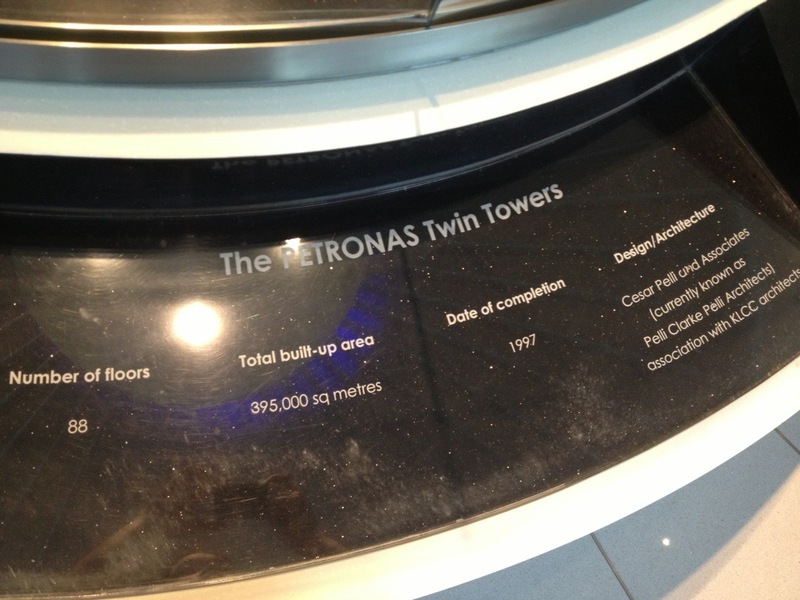 We found ourselves at the Petronas Mall side of Suria KLCC, specifically the Signatures Level 2 foodcourt. We kinda played safe since it is our first meal in this foreign land, we really didn’t know what to expect yet. 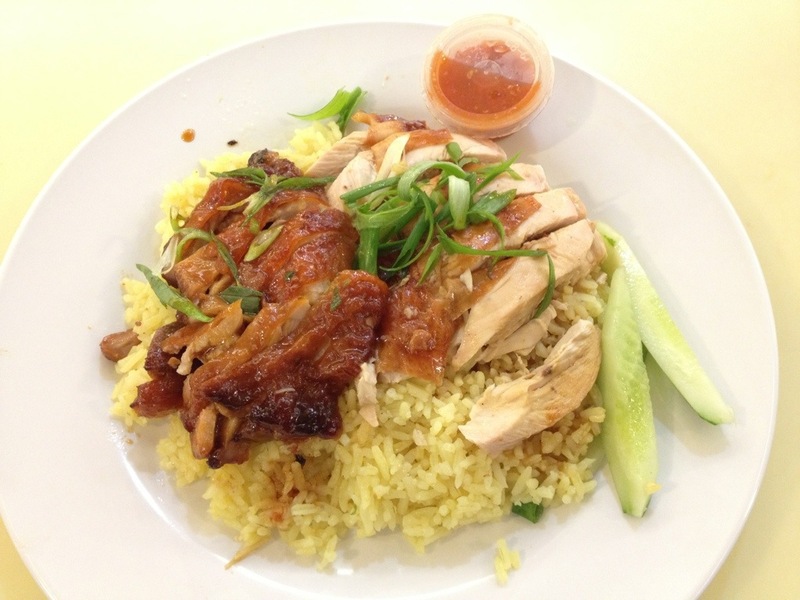 This is the chicken + bbq chicken rice meal for RM10. Meat is tender with flavorful skin, almost like those in peking duck. High in cholesterol though. Early morning the following day, we braved the 272 steps up and down Batu Caves without any food intake. So after tiring ourselves from the hike and picture taking, we rewarded ourselves with something we found in a local cafe at the foot of the caves. 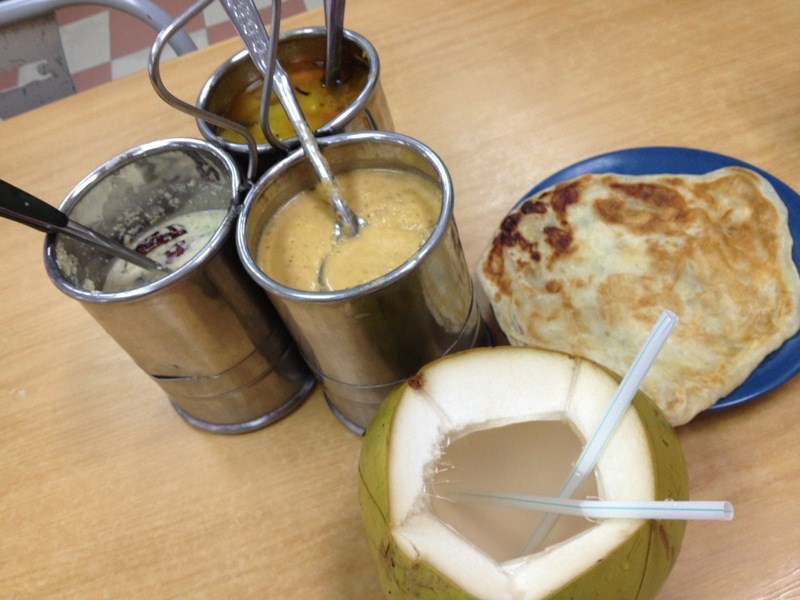 We had Roti Canai which is hand tossed flatbread, made mainly of flour. It came with 3 kinds of curry dips, 2 of which are extremely hot. Not to mention, other diners dip in the same container. Well, who am I to complain. haha Meal in the photo costs around RM7. 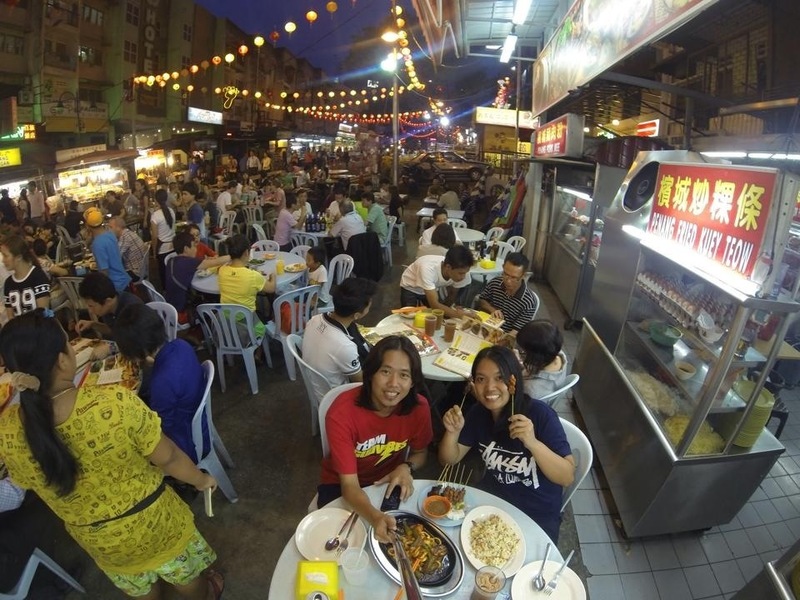 After Batu Caves, we headed to Chinatown via train and did more walking towards Central Market and Merdeka Square. 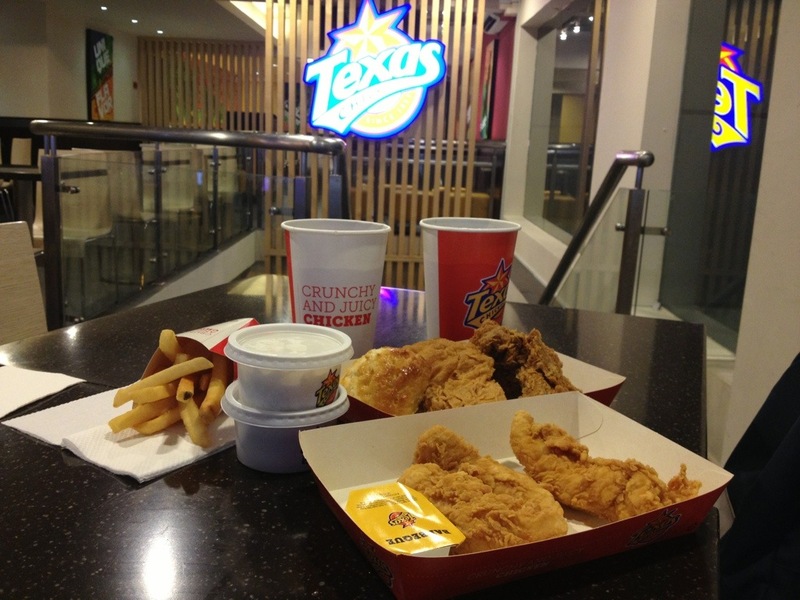 Come lunch time, we settled for the first fastfood we saw and thankfully it was KFC! 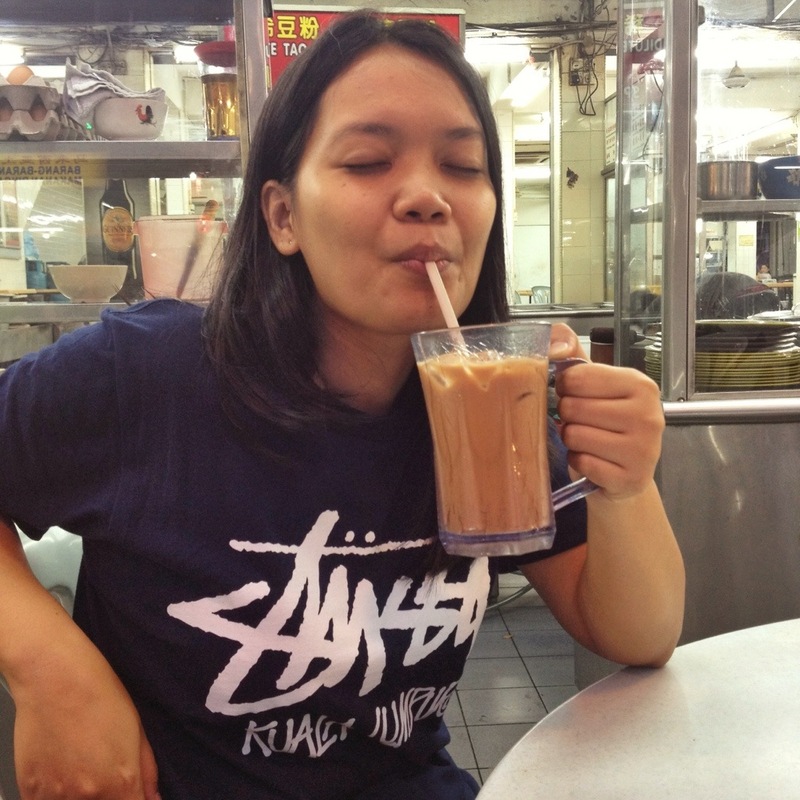 haha I still can taste the strong curry sauce by that time so I need something that tastes familiar to wash it down. I had what they call a Snack Plate Combo for RM10.50. 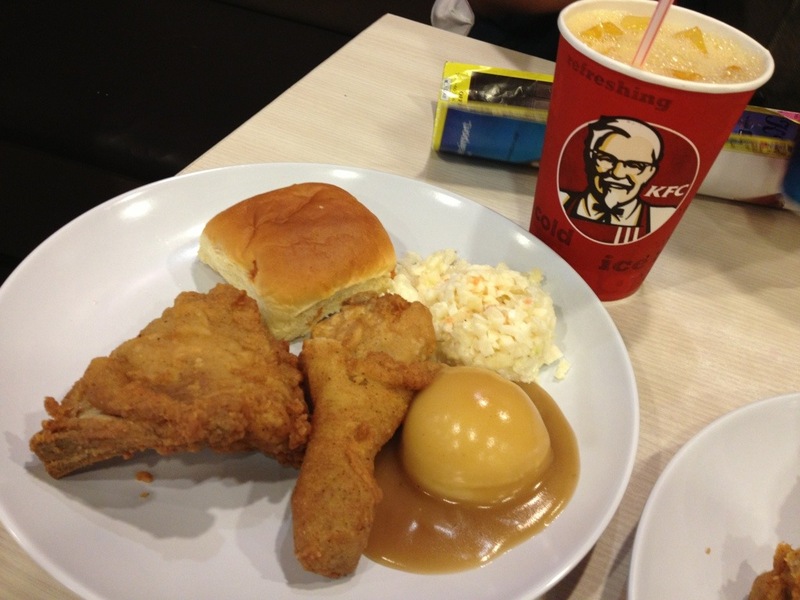 It came with 2pcs of chicken, mashed potato and coleslaw. They didn’t serve gravy, they have ketchup and spicy thingy sauce instead. We also had our usual coffee session while resting at Berjaya Times Square. The afternoon heat and all the walking that we did got to us so it’s time for something to cool us down. 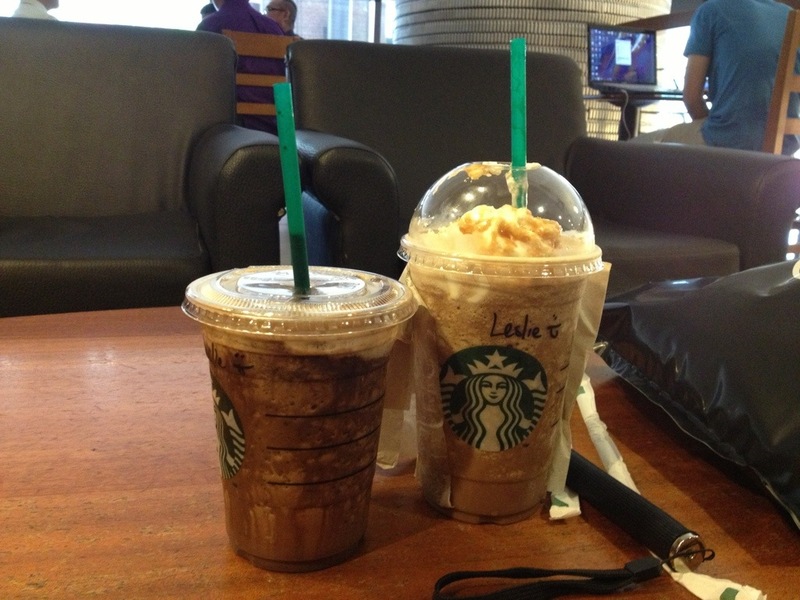 Venti sized frappe is about RM13 each. 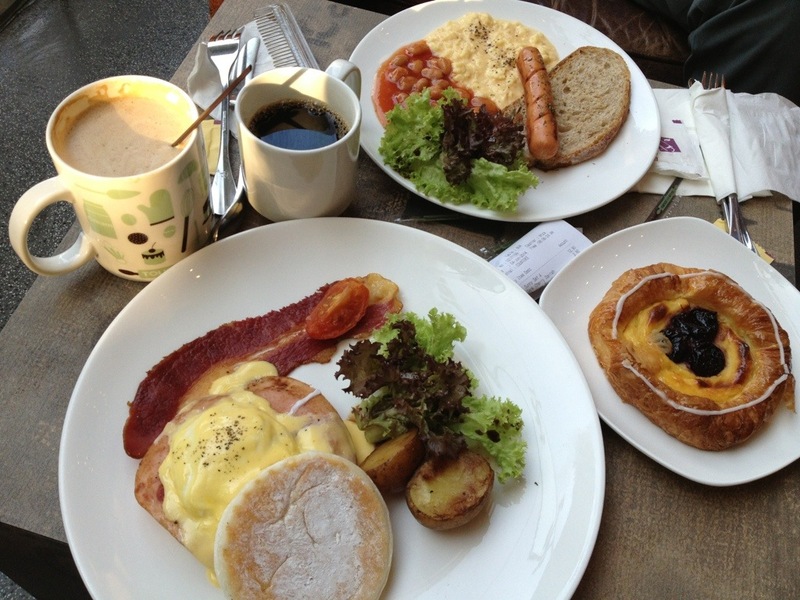 Our third and final day in KL started with a hearty breakfast in this upscale bakery at the heart of Bukit Bintang. Chino had a Sunny Set A while I had Eggs Benedict. We also shared over the best Dark Cherry Danish I’ve had ever. That is melt in your mouth goodness, a great way to start any day! 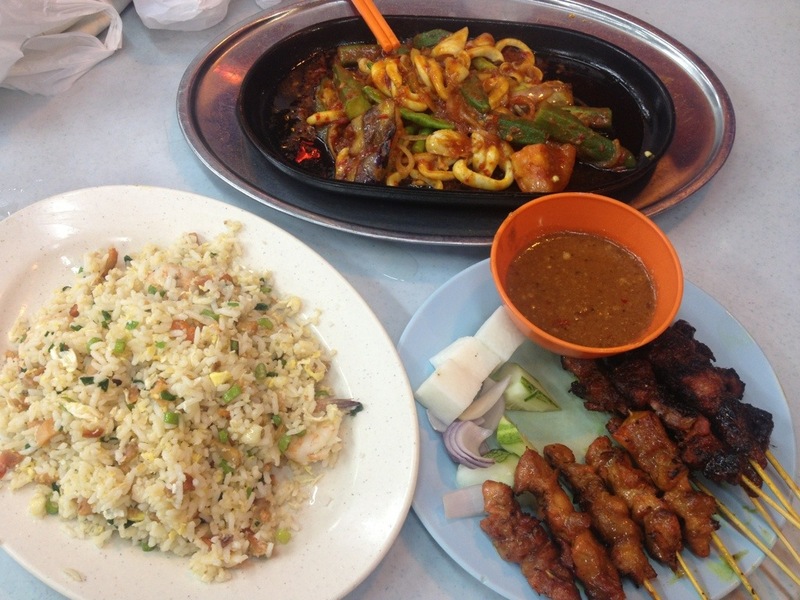 A hearty meal like this comes with an equally hearty tab, haha RM42 that is. 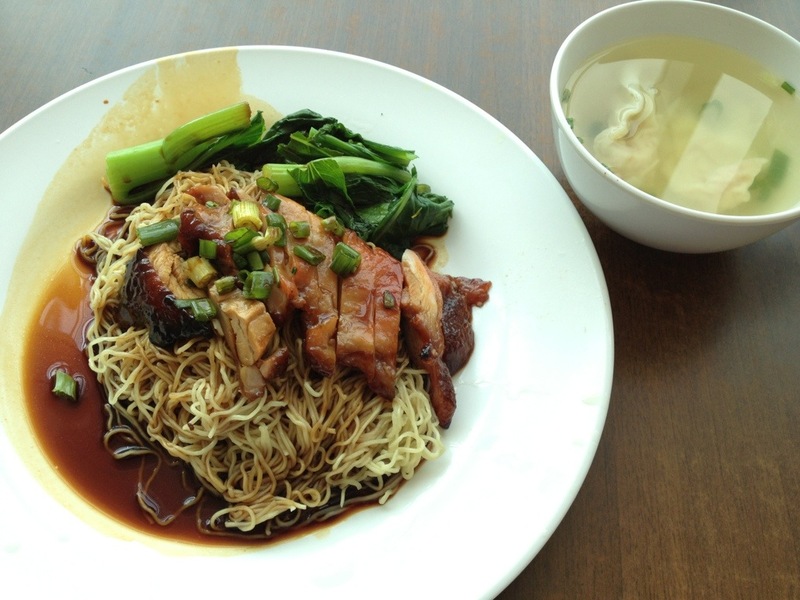 with mixed lamb and chicken kebab (RM10.90) On the other hand, I had BBQ Chicken Mee (RM7). It was kinda same as the first bbq chicken that I had here, only it was served on top of tasty noodles. dessert time! 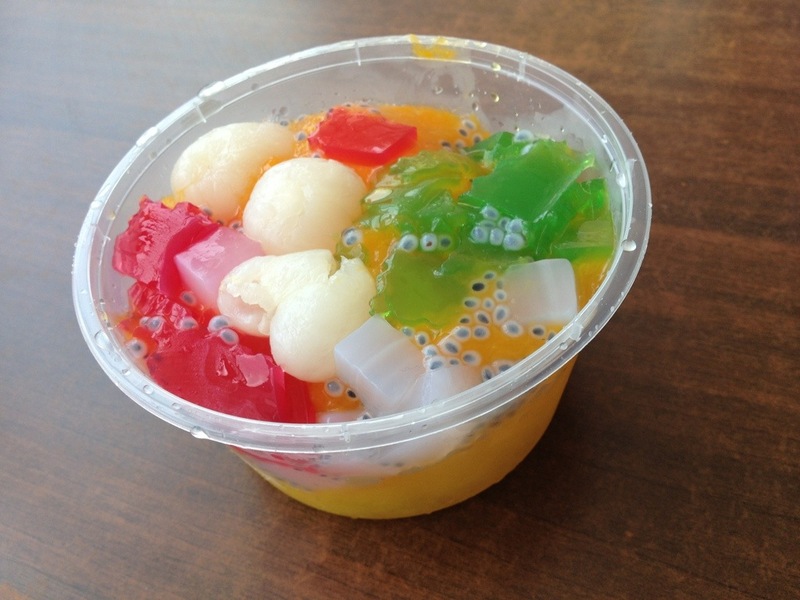 I tried this Mango De Longan (RM5.50) which is crushed ice topped with fresh fruits and mild syrup! can get! Freshly cooked and very tasty! 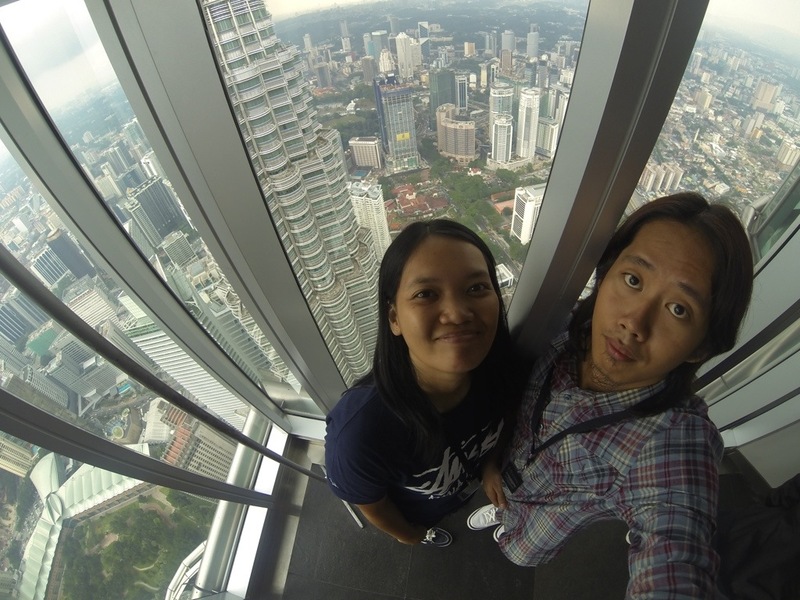 One of the highlights of our trip to Kuala Lumpur is a tour of the famous Petronas Tower. I almost lost hope to get into the tour when I found out that tickets sell out fast early in the morning. But we still tried our luck and went to the tower at about 9:30 am and went straight to the Concourse Level where tickets are sold. All tickets for the morning tour are gone, so our best option is take the one at 1.15pm. 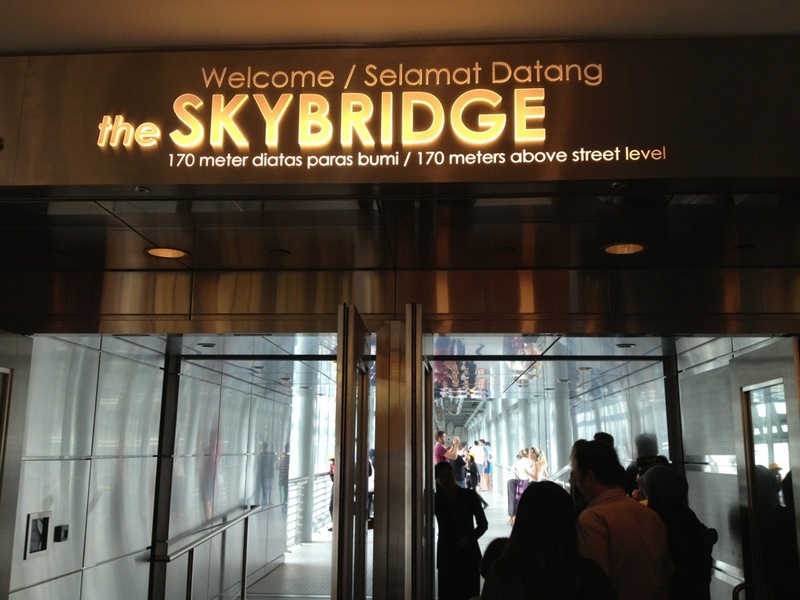 Ticket price is 80RM per adult which is good both for the Skybridge and Observation Deck Tours. 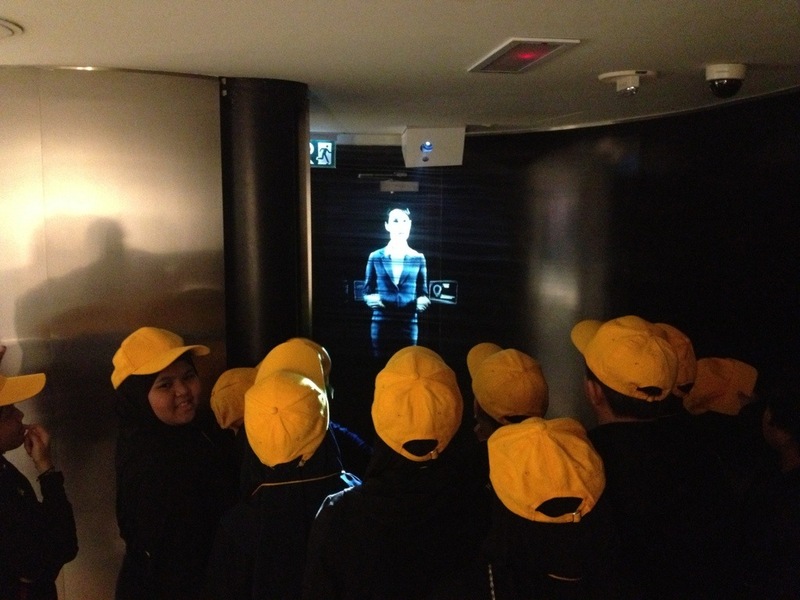 Next part is a holographic video of do’s and don’ts while in the bridge. Very impressive technology they have! 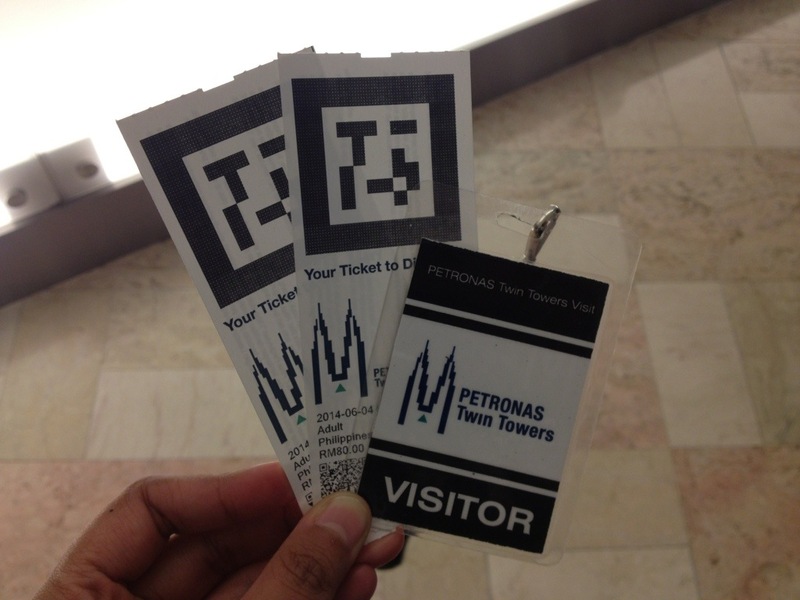 After the reminders, a tour guide ushered us to an elevator that will take us to the 41st floor where the Skybridge is. 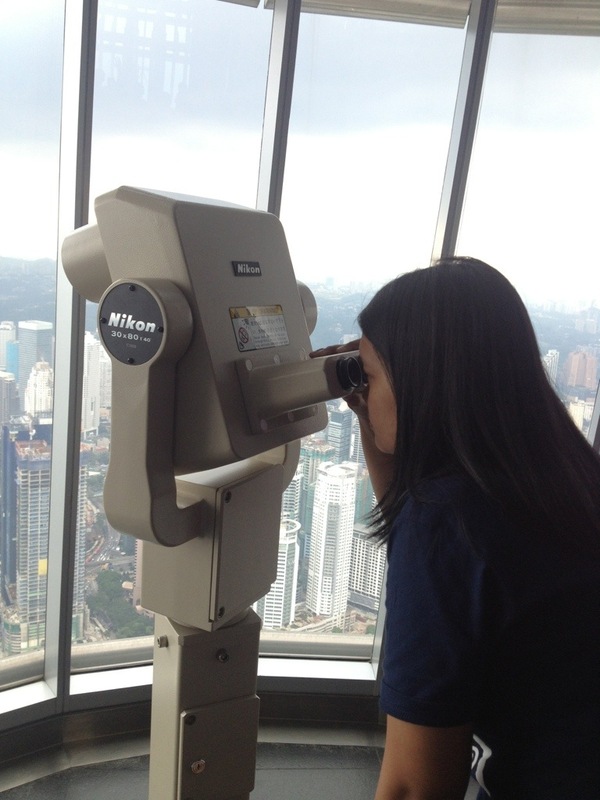 It gives you a good skyline view of Kuala Lumpur. 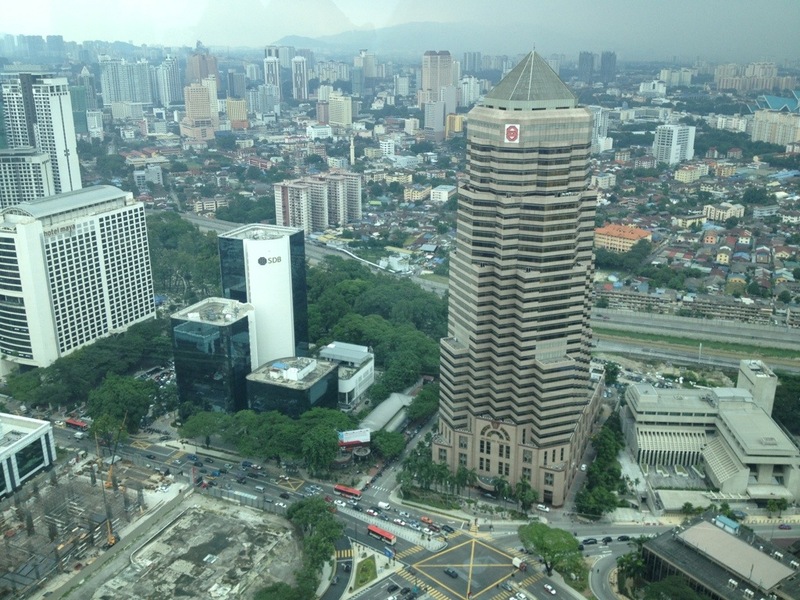 View of Tower 2 with KL Tower in the background! Binoculars for a closer look of everything! Informative features around the deck. 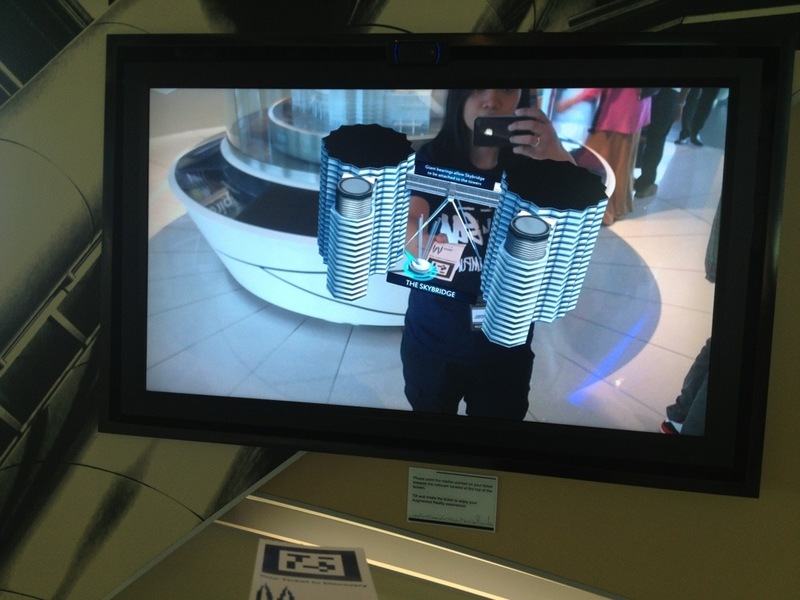 Scan your ticket in the camera and see a 3D feature of the tower pop up! This one amazed me! 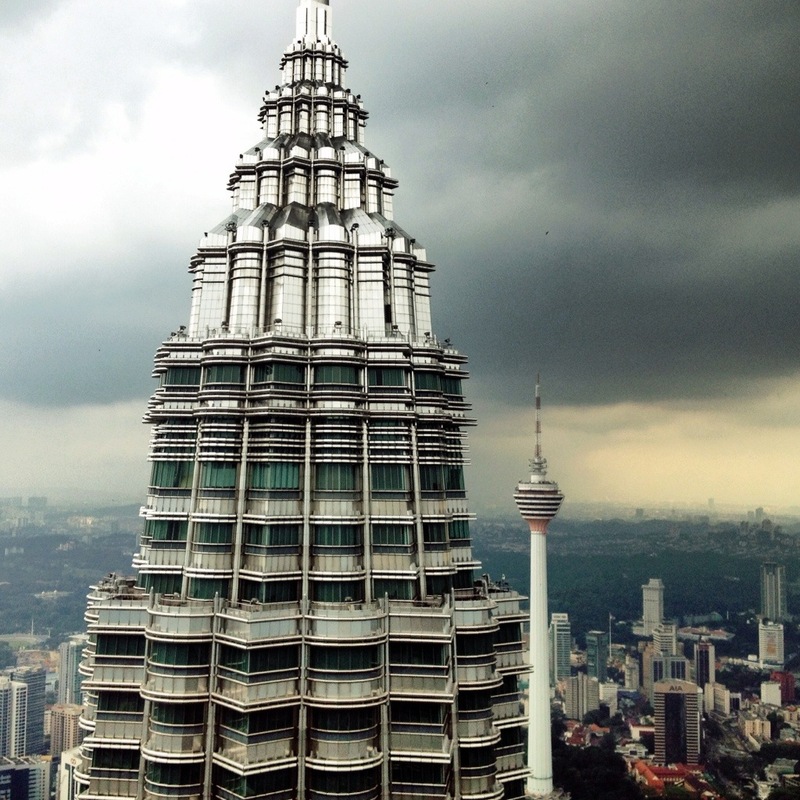 live blogging in Kuala Lumpur!